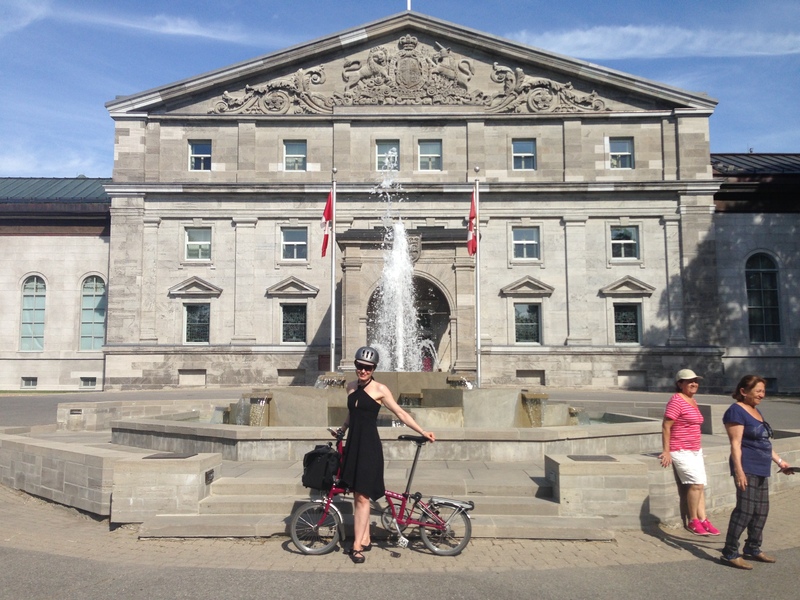 Heather and her Brompton in front of Rideau Hall. 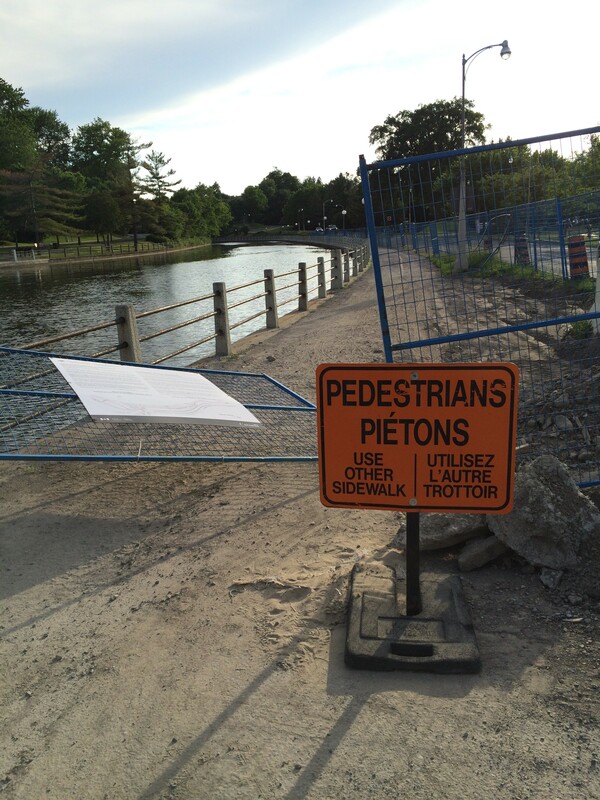 The beginning of the Rideau River Eastern Pathway! According to Wikipedia: “This pathway is almost unknown by tourists but frequented by residents.” And I have to admit, we didn’t see any other tourists except us! Though there weren’t many residents on the path either. Must have all been at the cottage! 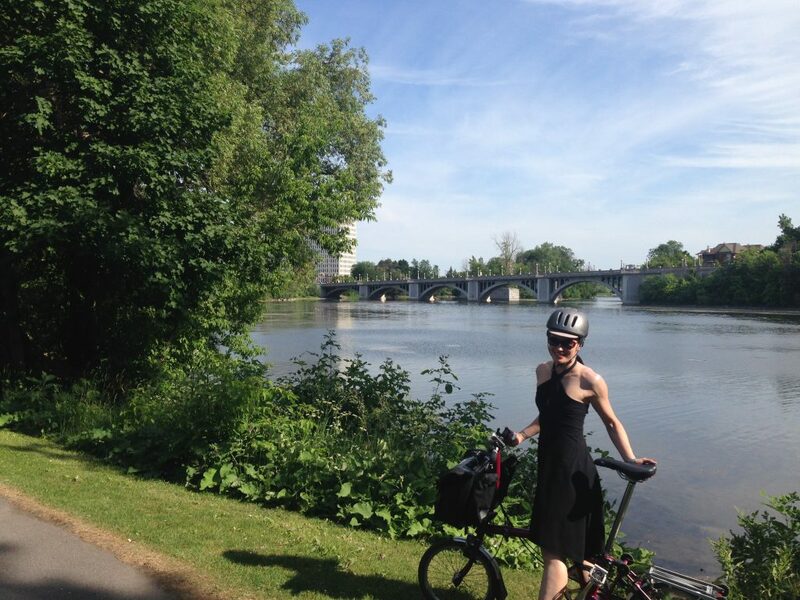 Heather and her Brompton in front of the Rideau River. Pier humouring Heather with a picture. 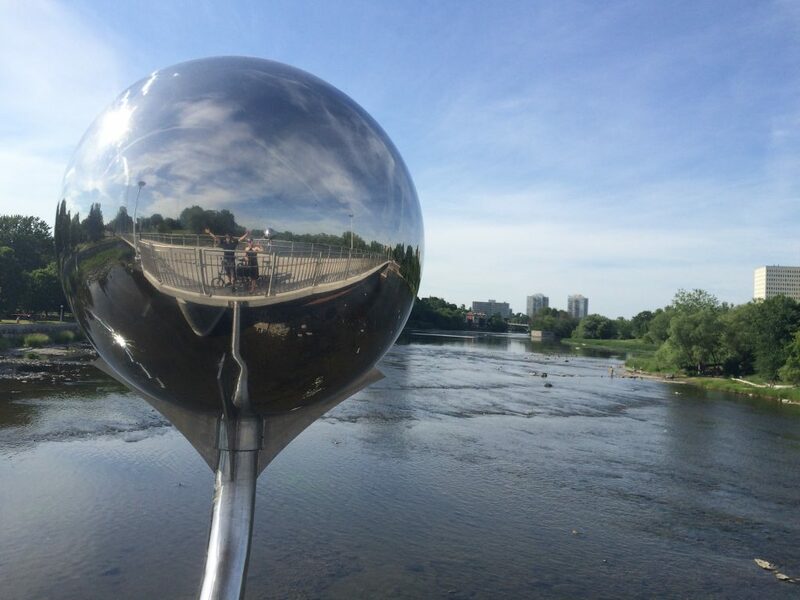 This mirrored globe is on the Adawe Crossing, a pedestrian/bike bridge that crosses the Rideau River just north of the Trans-Canada Highway. And now, as this map shows, we are just south of the Trans-Canada Highway, one-third of the way to our destination: Mooney’s Bay Beach. 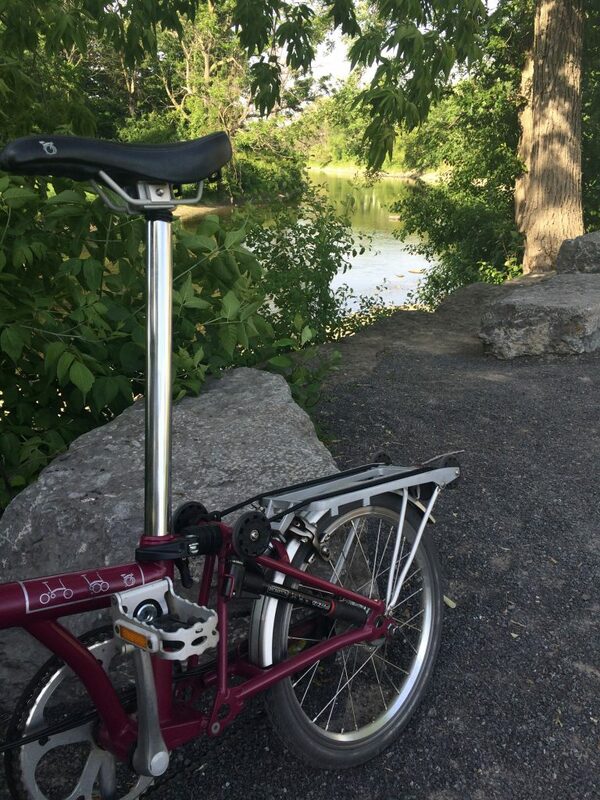 Obligatory Brompton scenic photo along the Rideau River Eastern Pathway. 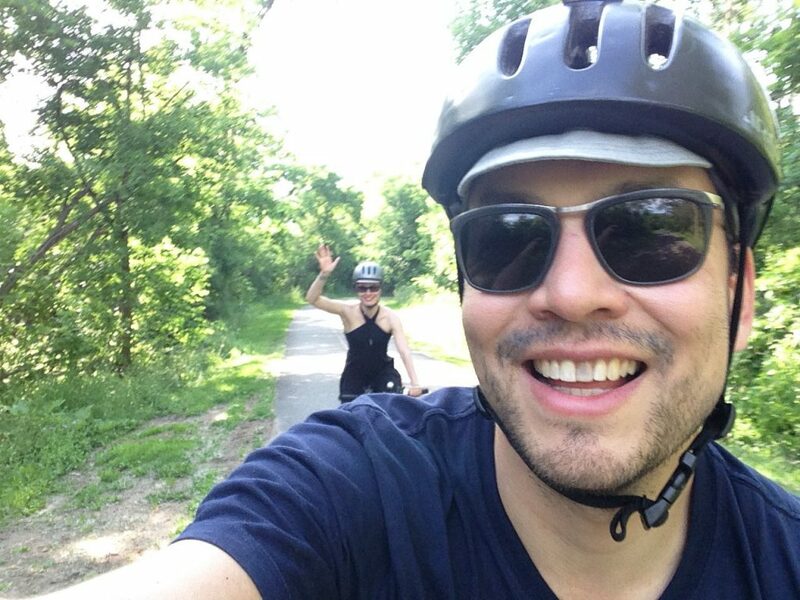 Us biking along the path. Look at all that green! 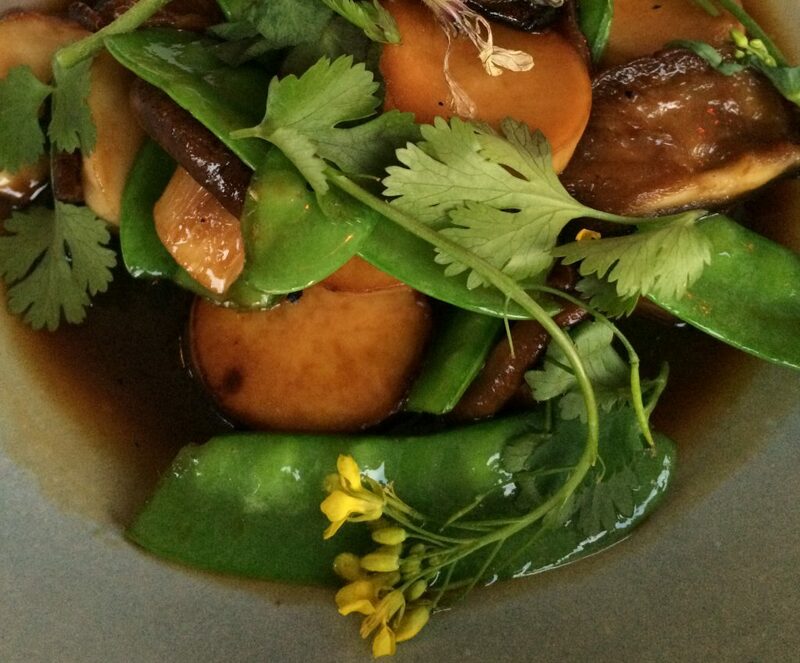 You wouldn’t even know Highway 19 is just to our left. Oh, there’s Highway 19! 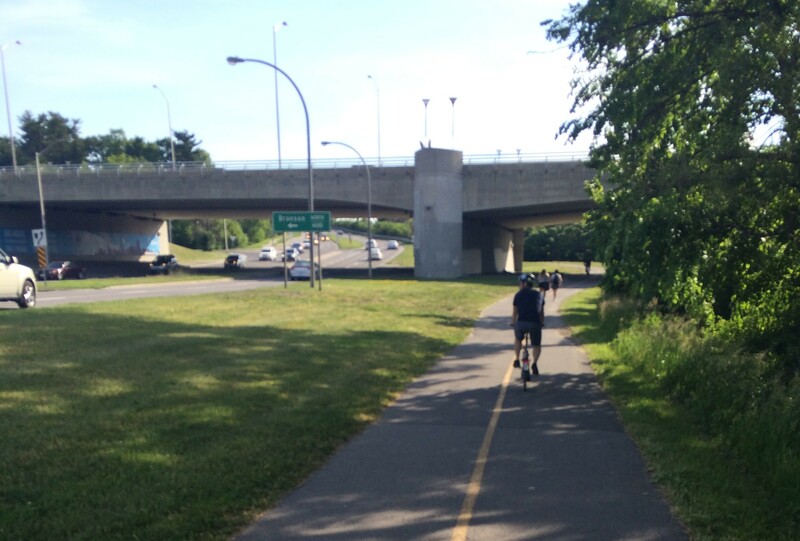 One of the great things about Ottawa’s path system (collectively known as The Capital Pathway) is that the paths all go somewhere. These aren’t just scenic park trails. These paths all follow along roads (even if you can’t see the roads due to the lush greenery) which mean they will get you places you actually want to go and are a viable alternative to driving. 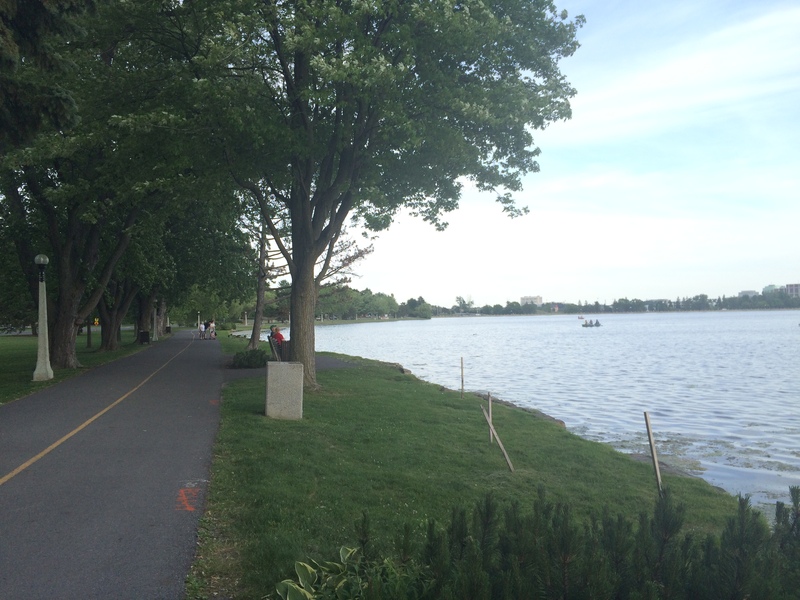 We made it to Mooney’s Bay Beach! Soft sand and surprisingly warm water for June in Canada. 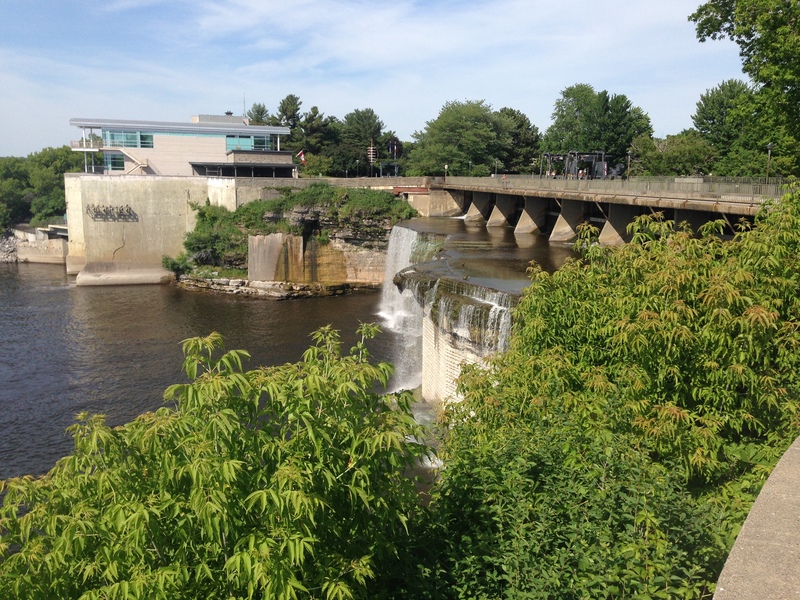 Then we doubled back to Hog’s Back Falls and crossed the bridge to the west side of Rideau River, where the river meets the Rideau Canal. 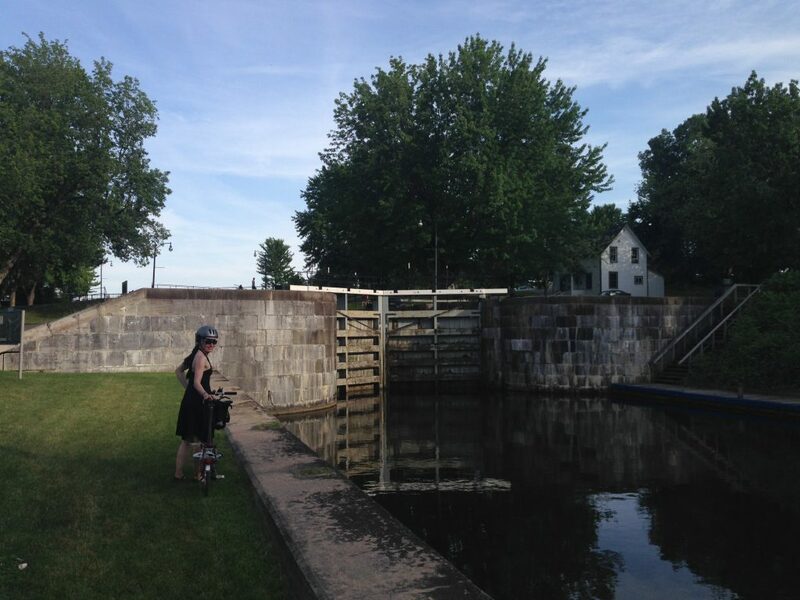 Heather at the Hog’s Back Lockstation on the Rideau Canal. 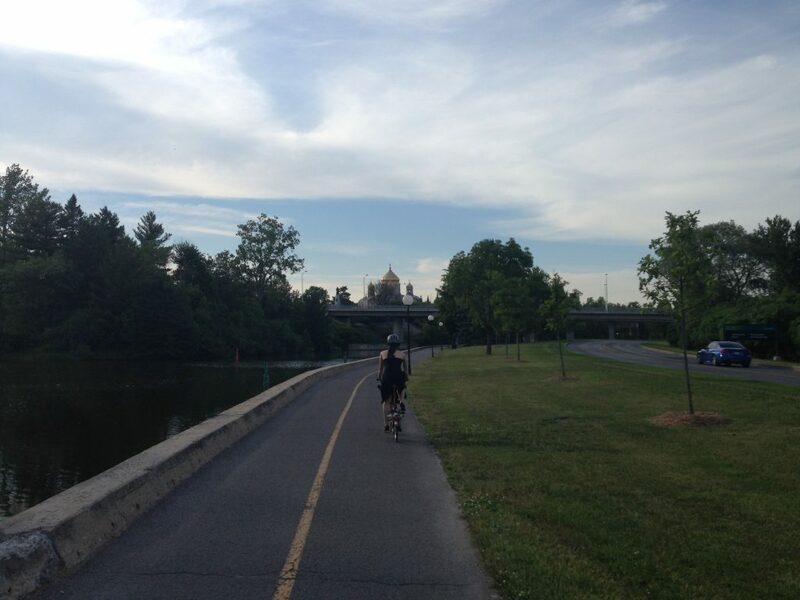 Heather cycling along the east side of the Rideau Canal. 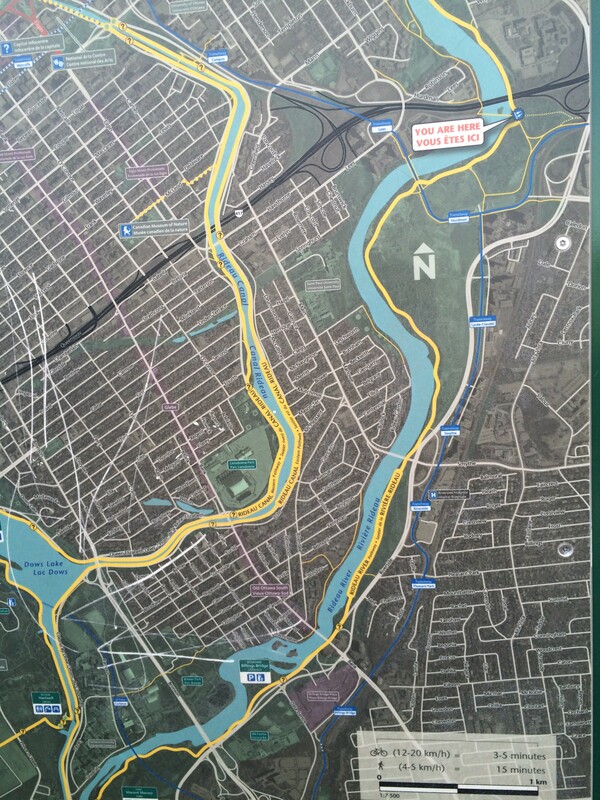 Capital Pathway map. 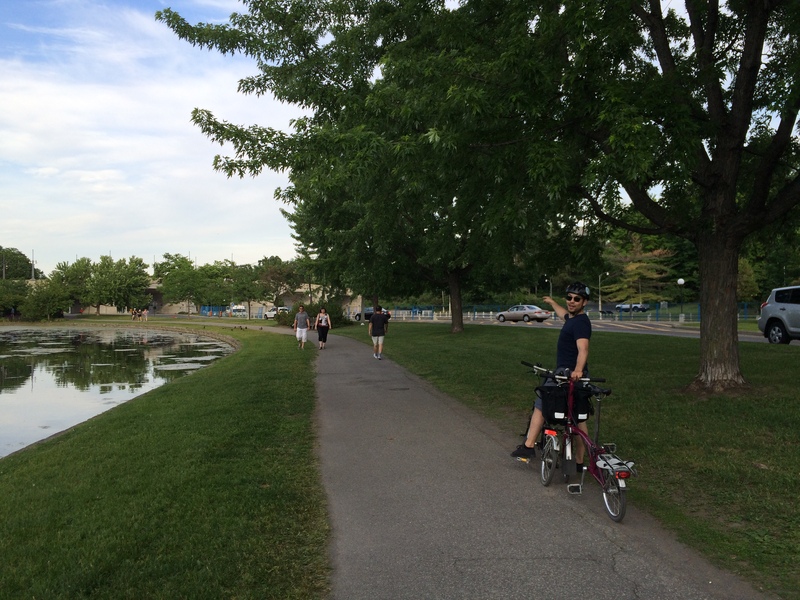 At this point we decided to cross over to the west side of the Rideau Canal so we could cycle around Dow’s lake. 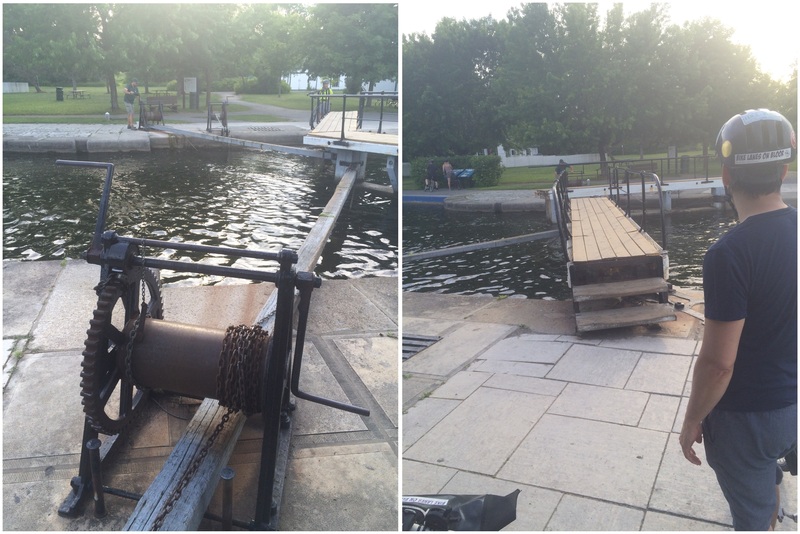 And how do cyclists/pedestrians cross the canal here? Via the lock bridge at Hartwell’s Lockstation. As we arrived, we got to see a boat passing through. 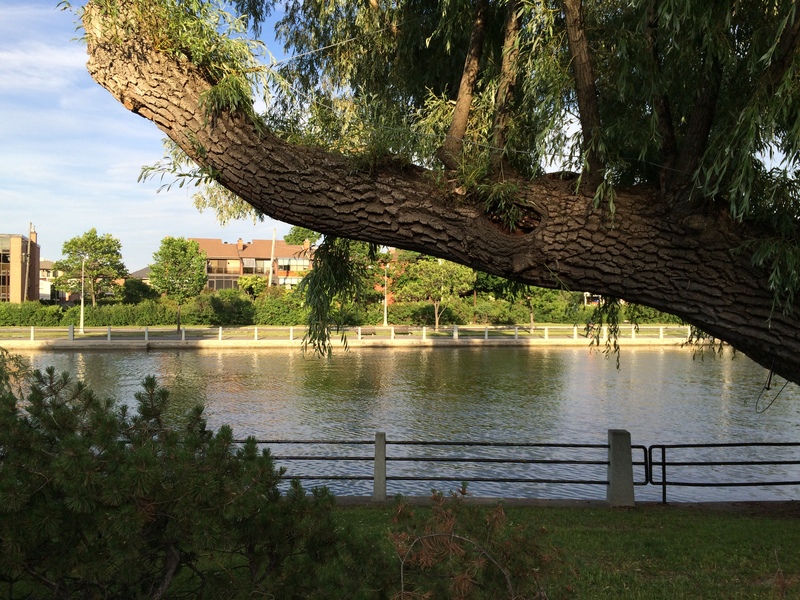 … Dow’s Lake. 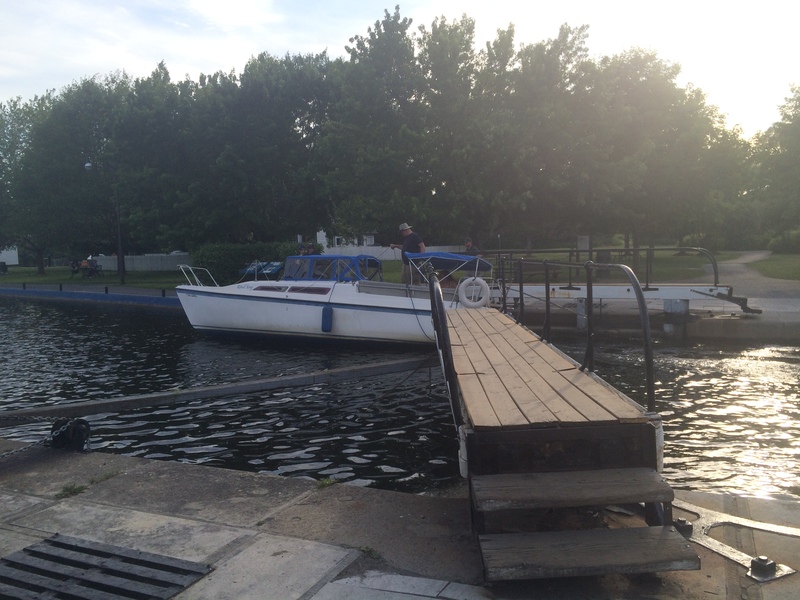 We biked around the lake and then encountered our first detour. 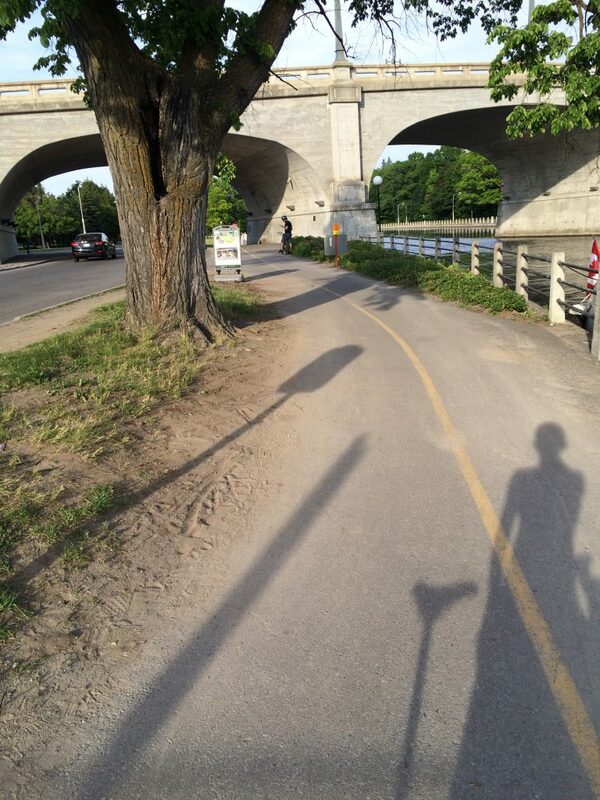 A very small section of the Rideau Canal Pathway was closed, so we had to take another path that ran almost parallel beside Brown’s Inlet. Pier is pointing to the canal and closed path just across the street. 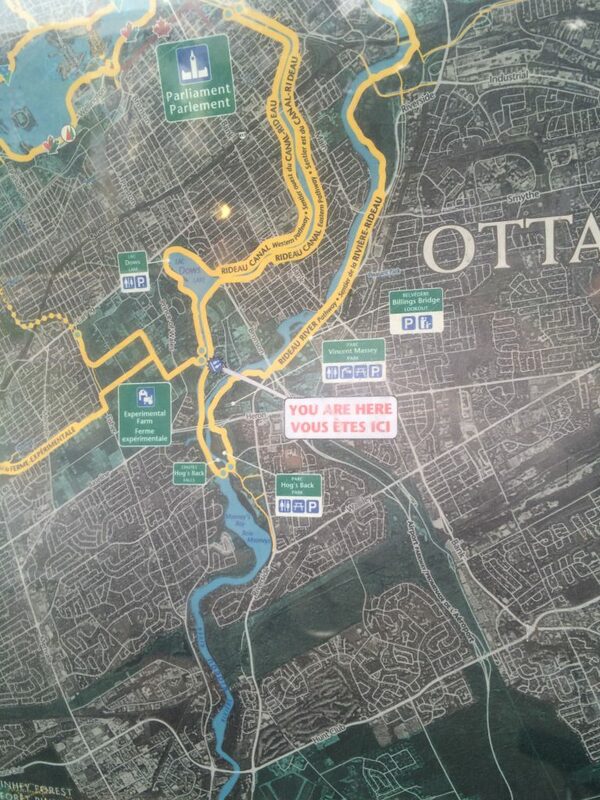 But seriously, two paths in the same area so that there’s an alternative when one is closed? Us Torontonians are unaccustomed to such amazing infrastructure! 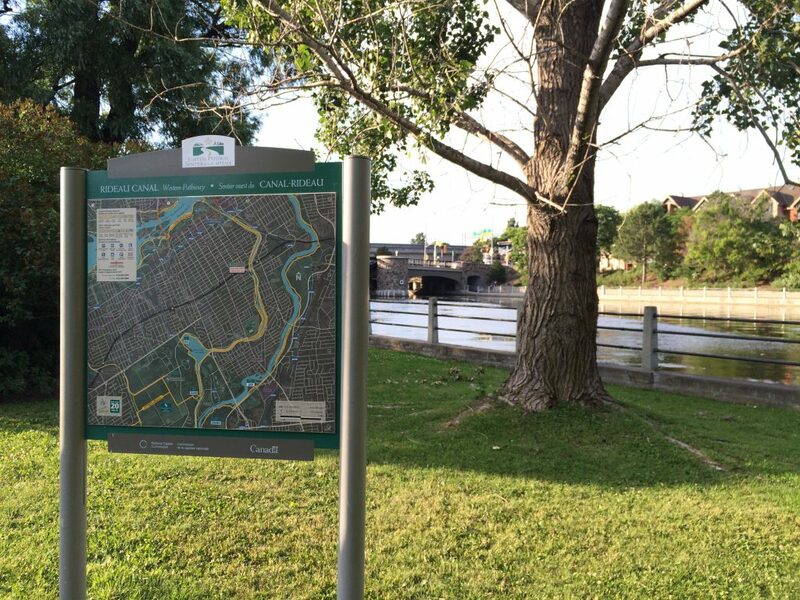 Looking back at the closed section of the Rideau Canal Pathway. 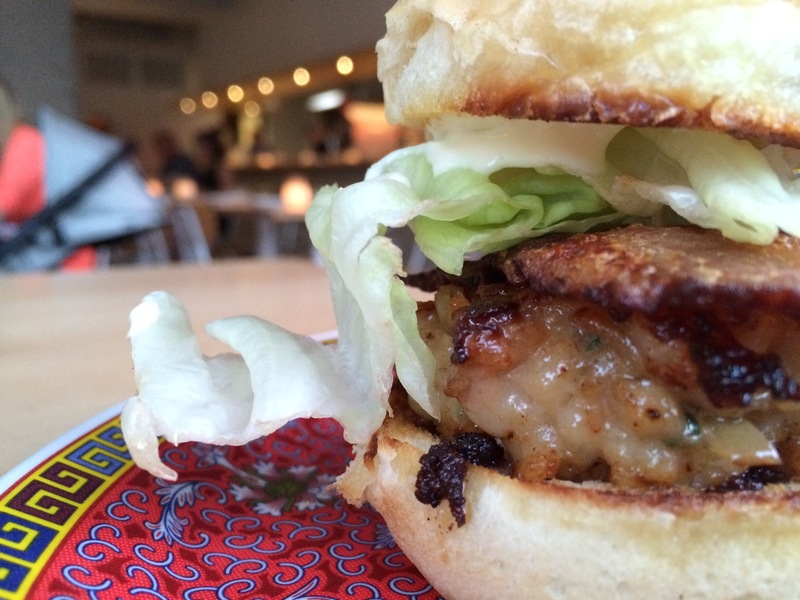 Looking ahead to the open section. Back on the Canal Pathway! Scenic shot of the Rideau Canal. 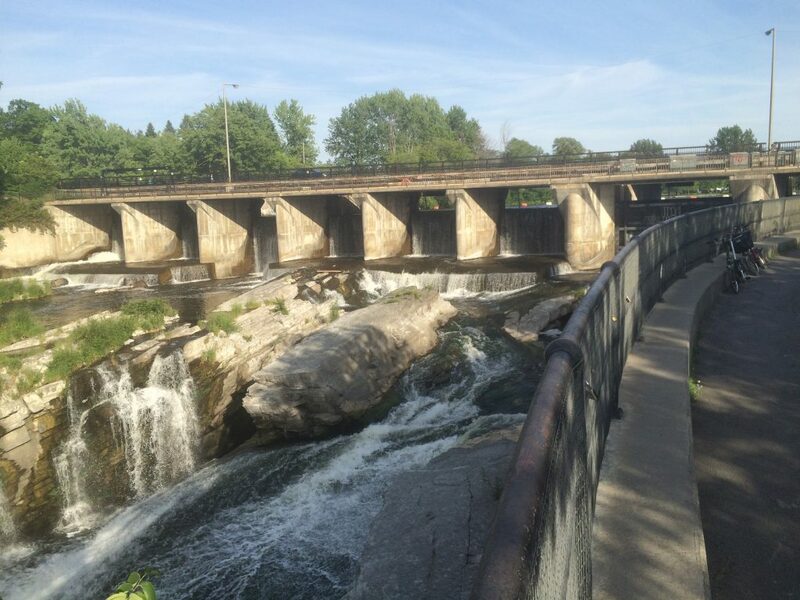 Finally, to the bridge that will take us back to downtown Ottawa and dinner! 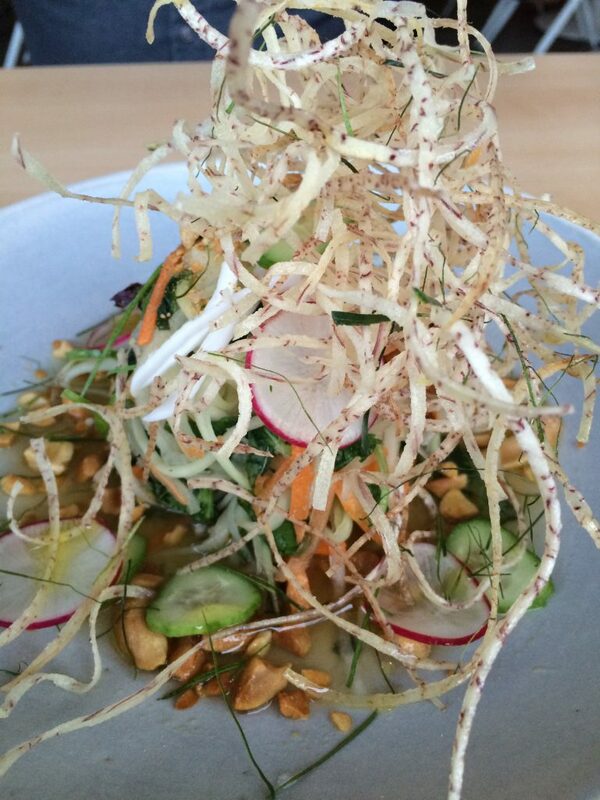 And now, even though I rarely take food pics, I had to make an exception for our AMAZING dinner at Datsun. 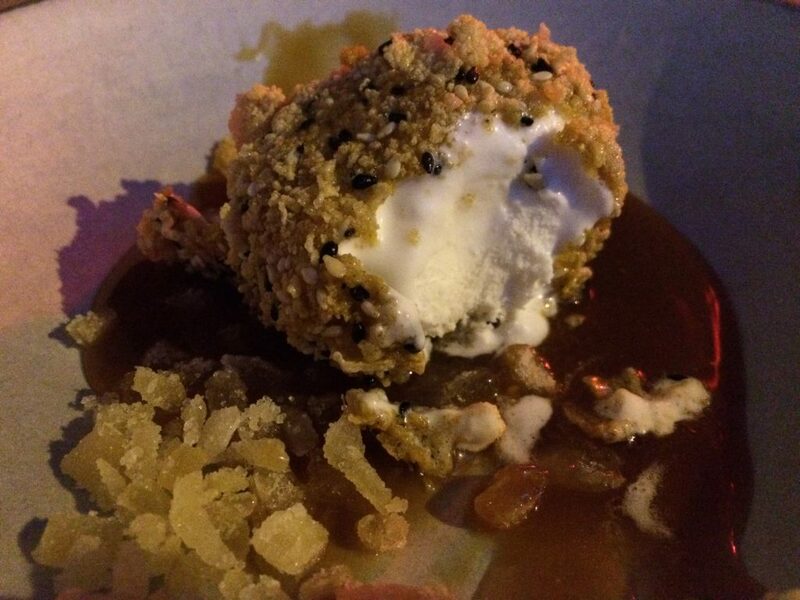 Deep-Fried Ice Cream with Sesame & Coconut Caramel. Well deserved after cycling 30 kilometres! 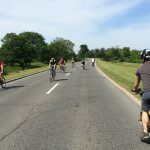 Next, we take part in Ottawa’s Sunday Bikedays where they close some highways to cars and let cyclists take over! Weeee! hmm, stumbled across your blog here. Sounds like you had a good time. 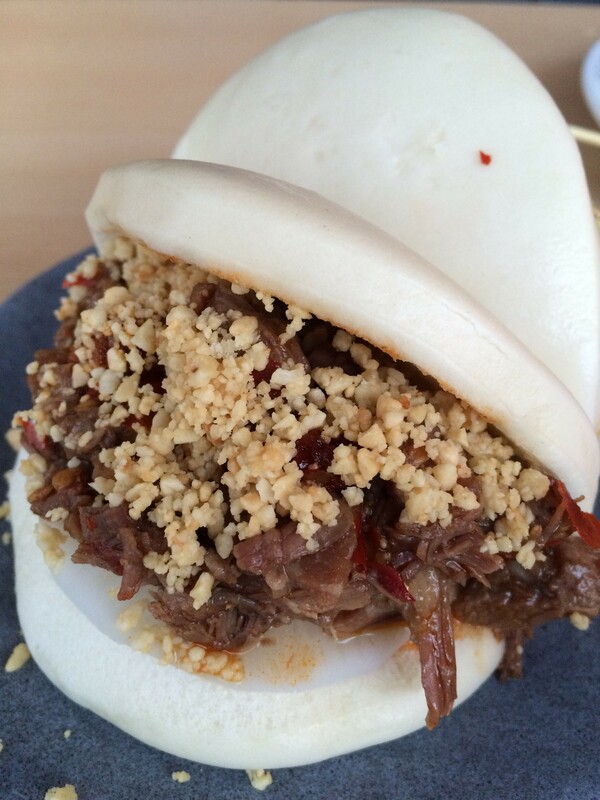 I’m an Ottawa native and those picture made me hungry….will have to check out Datsun. And I just ordered an in-stock Brompton S6L from curbside, can’t wait to receive it. Awesome! 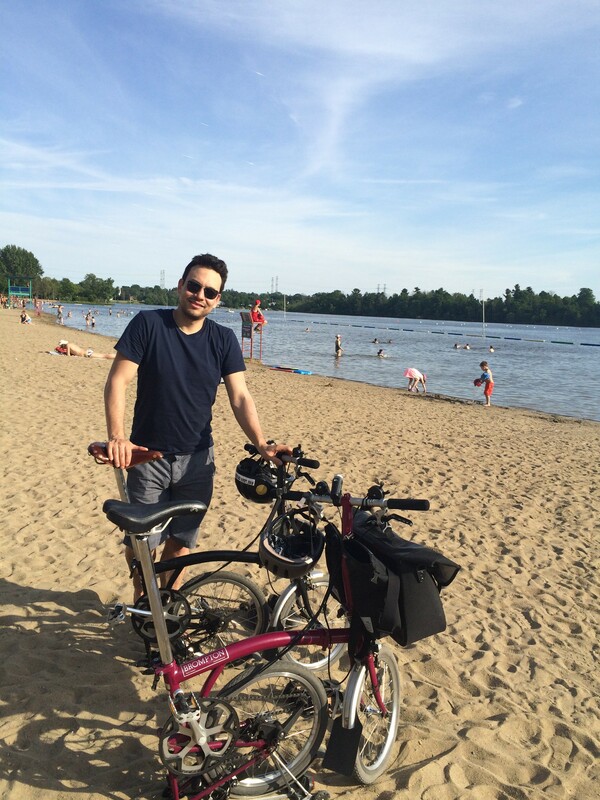 Enjoy your new Brompton! Pier’s Brompton is an S6L too. Mine is an S6R (I wanted the rear rack because I’m practical like that). 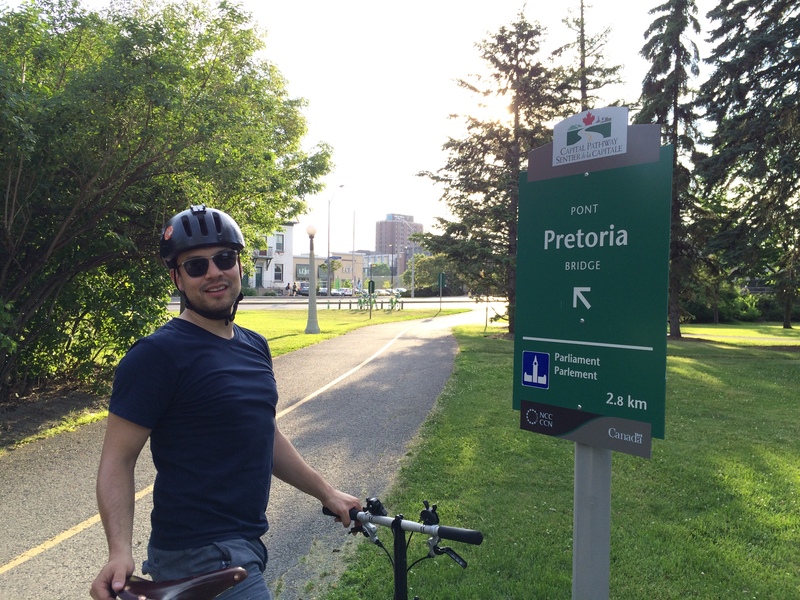 Maybe you’ll start a Brompton trend in Ottawa. We didn’t see any other Bromptons while we were there, and most people who stopped to talk to us about our bikes had never even heard of them. Thanks for the comment, Ray, and happy riding! Love the blog! I’m about to travel with my Brompton for the first time, so I especially like hearing that Westjet is Brompton friendly. I bought a roll of bubble wrap (the big kind) from Staples and I have a B-Bag, so I’m hoping all goes well. 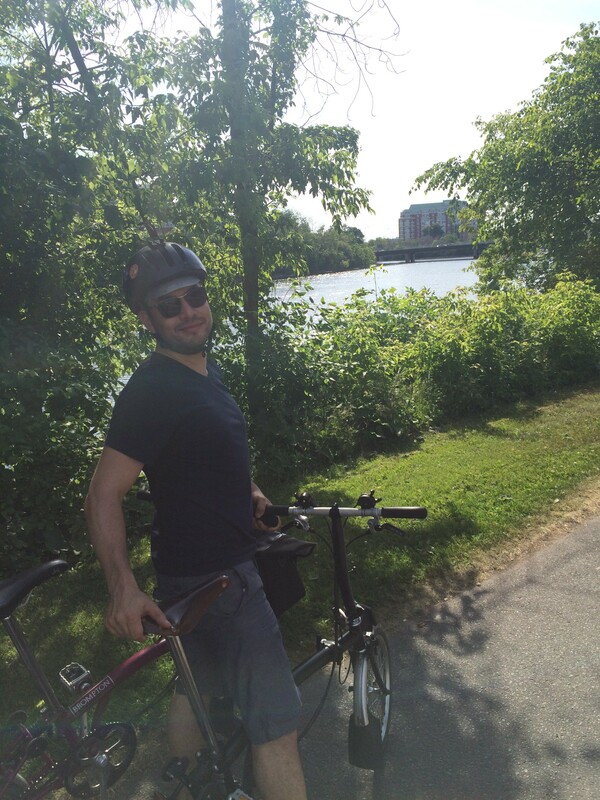 Congrats on your new Brompton! And have fun on your trip. Hopefully Westjet is still as Brompton friendly as it was a few years ago. But you’ve got a B-Bag and bubble wrap, so at least you know it will be safe! 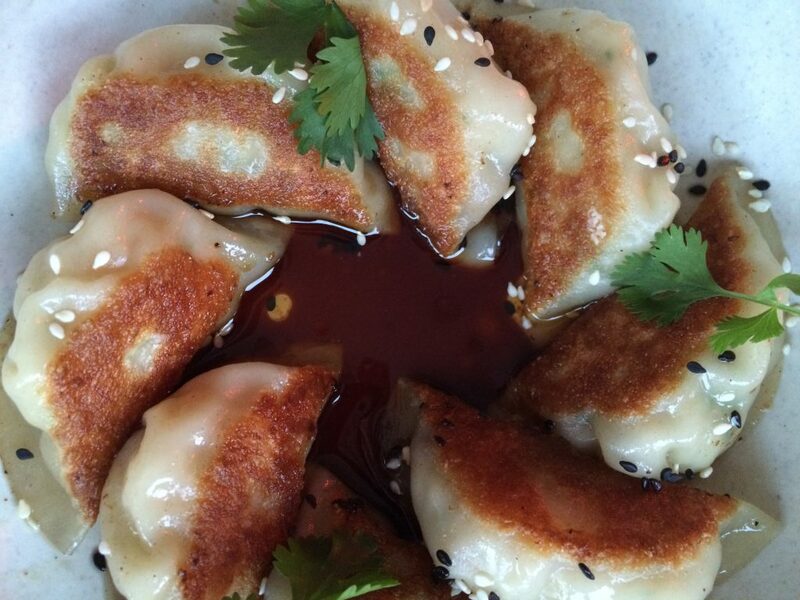 Hello Heather and Piers, I’m a Bromptoneer from Sydney Australia. 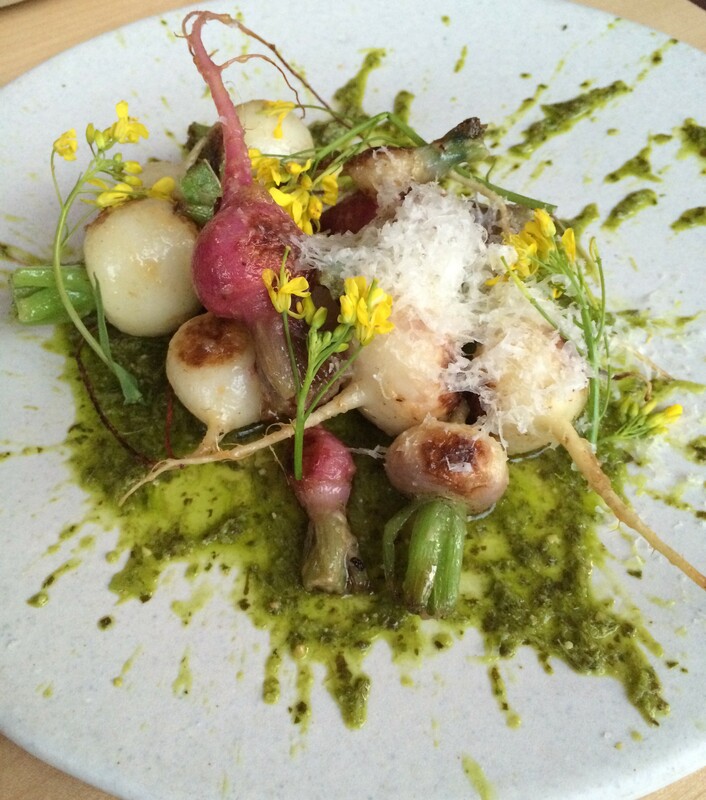 I really enjoyed these pictures and the story of your ride, and the food pix made me drool! How long is this ride? Hi Sabina, so sorry for the crazy late reply! We’ve had such a busy year, but we’re going to try to be more on top of our comments in the future. 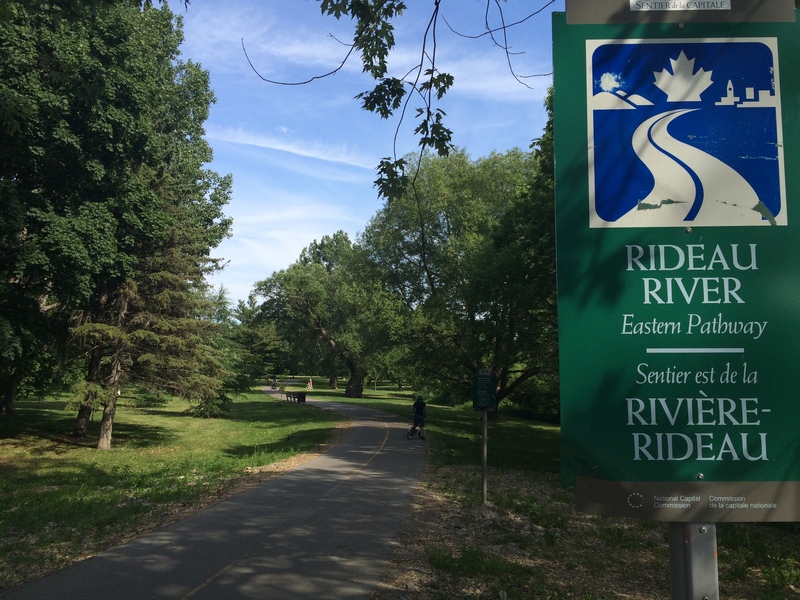 To answer your question, this ride around the Rideau River & Canal took us a long half day (it’s 26km round trip). We started after lunch, and finished in the early evening just before supper. We did stop a LOT to take pictures, though. But now that I think about it, that’s a pretty long ride for being in the same city! 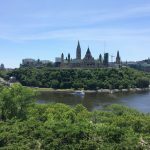 Ottawa’s population isn’t big, but the area it covers is.